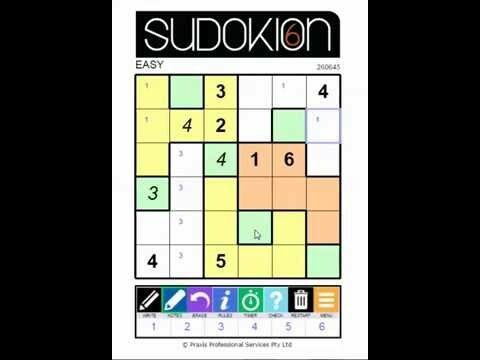 Sudokion is a large family of exciting new puzzles derived from and using the same rules as those applying to Sudoku. At present there are over 40 different types of Sudokion, ranging from very easy to mind-bogglingly complex and difficult. The number in orange text indicates the range of numbers in the puzzle. 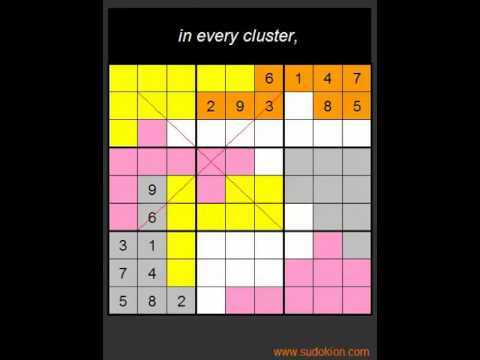 So, for example, in the case of Sudokion 6, puzzle numbers are 1 to 6. When you have chosen your preferred size and challenge level our Management System selects the next puzzle for you. So, over time you will be introduced to a wide range of Sudokion puzzles. And that’s one of the delightful things about Sudokion: every different type of puzzle has its own characteristics and methods of solution. In case you’re wondering, the rules to all puzzles are available by clicking on the i button near the base of the screen. 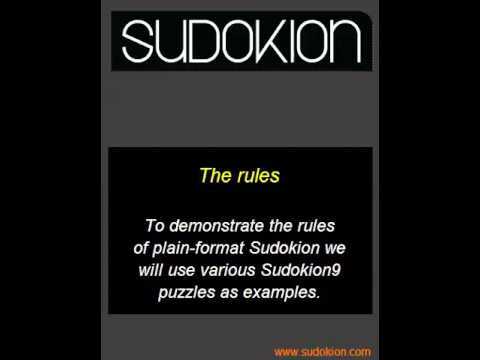 These videos outline the rules applying to Sudokion. 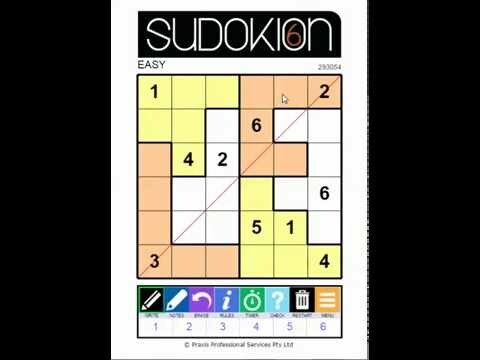 The first video covers our straightforward puzzles, those we call plain-format Sudokion (without overlaid lines). The second deals with the rules that apply to our more complex, plus-format, puzzles (with overlaid lines). 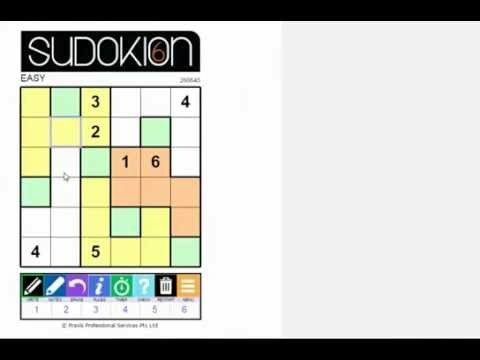 The third and final video covers advanced Sudokion puzzles.